The Hotel Emza Residency is one wonderful hotel for travelers looking for good accommodation options at pocket-friendly prices. All rooms have been designed and decorated very thoughtfully. 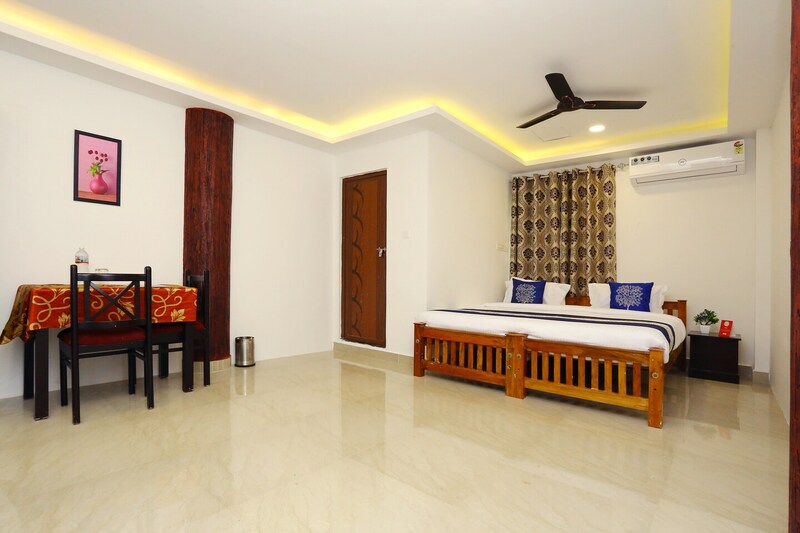 All rooms are well-furnished and well-lit and allow a lot of free space for movement. The cove lights make the room lively and a small dining area is available for the extra seating space for the guests. The extra facilities offered by the hotel are free Wi-Fi, a power backup supply, parking provisions, card payment in all forms, an elevator and CCTV cameras. All these amenities make the complete stay experience comfortable. The front desk service at the hotel has also been designed very nicely and is manned by experienced staff. The complete maintenance of the hotel is taken care of by a team of dedicated and loyal staff.